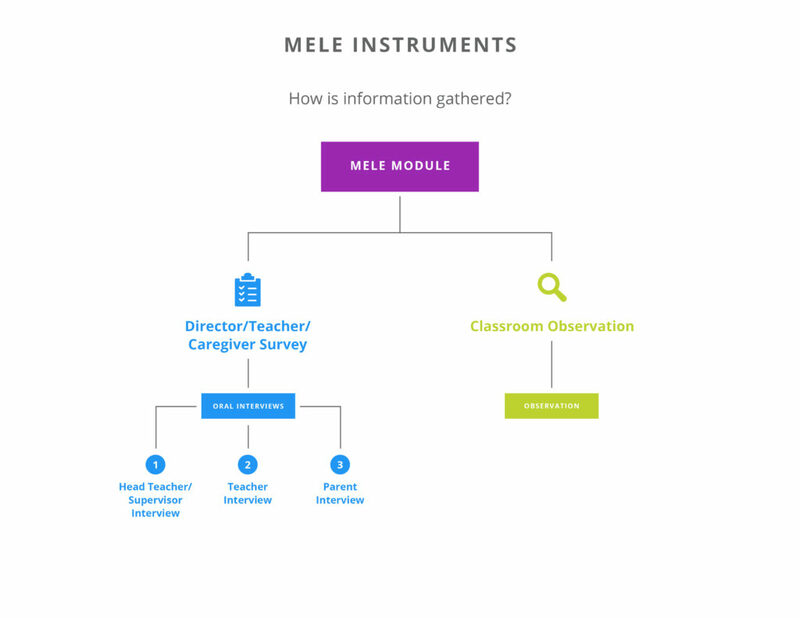 MELQO is intended to generate relevant, useable data to guide policies and programs to improve pre-primary education for children 3 to 8 years old. The tools are intended to be adapted and tested before using them, and you’ll need to plan for time to ensure that the ideas of MELQO make sense in the country you’re working in, and that any data collectors are trained well. 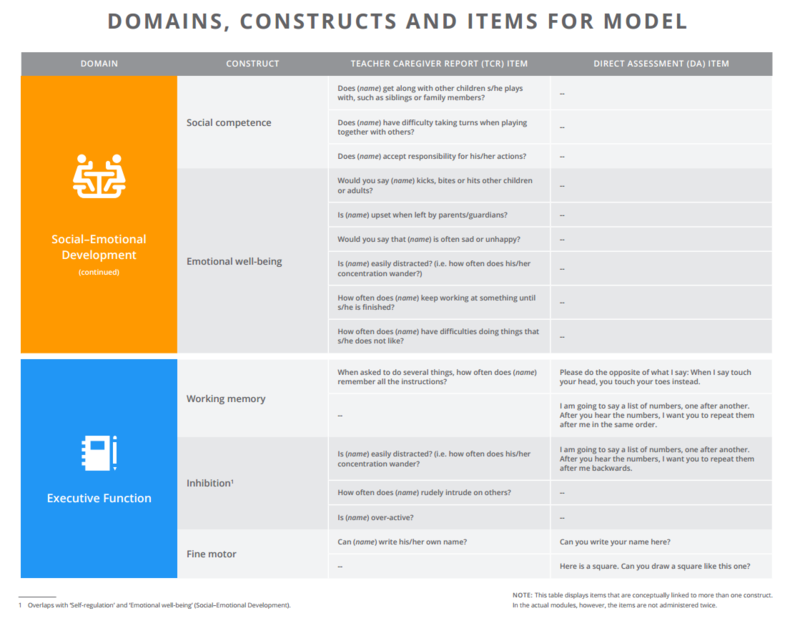 When used properly, MELQO can help build a data-driven discussion on young children’s development and how better to support them. If you are interested in technical assistance, please contact us. Where did the MELQO items come from? The content of the tools was developed based on existing tools. The items were selected by the MELQO Consortium, based on their relevance and feasibility within low- and middle-income countries. A full description of all tools used to inform MELQO can be found in the MELQO Background Report. 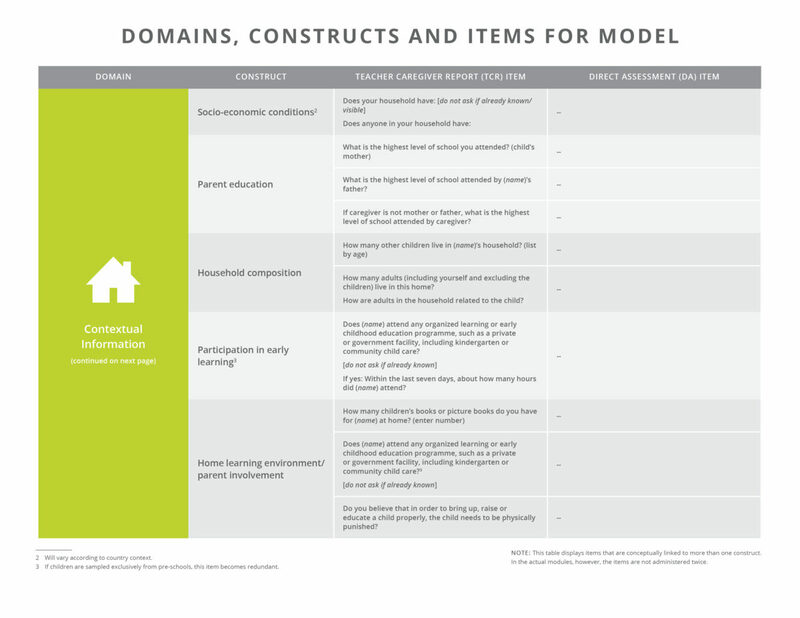 What is included in MODEL and MELE? Below we describe the constructs and items that were used in the first versions of MELQO. 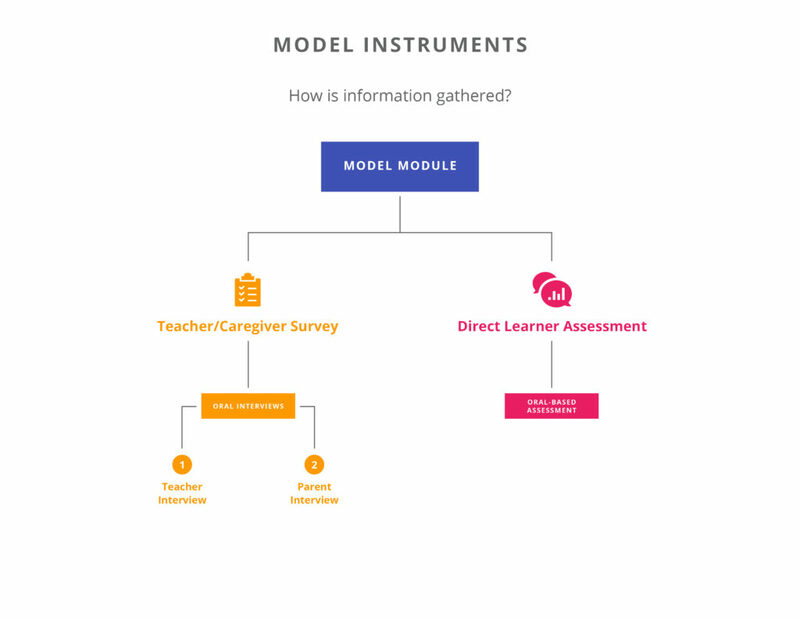 MODEL, or the Measure of Development and Early Learning module, contained both constructs and items tested in several countries. 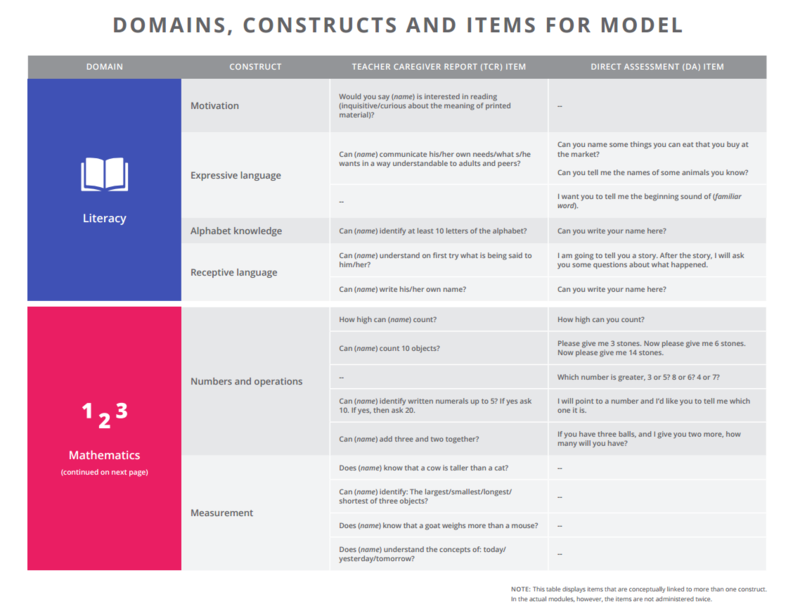 There was a good deal of agreement on which constructs to include, and a set of core math, literacy and executive function items have been identified with some degree of comparability across countries. Social/emotional development was considered very important to measure, but there was less evidence and agreement that it could be measured in the same way across all countries. 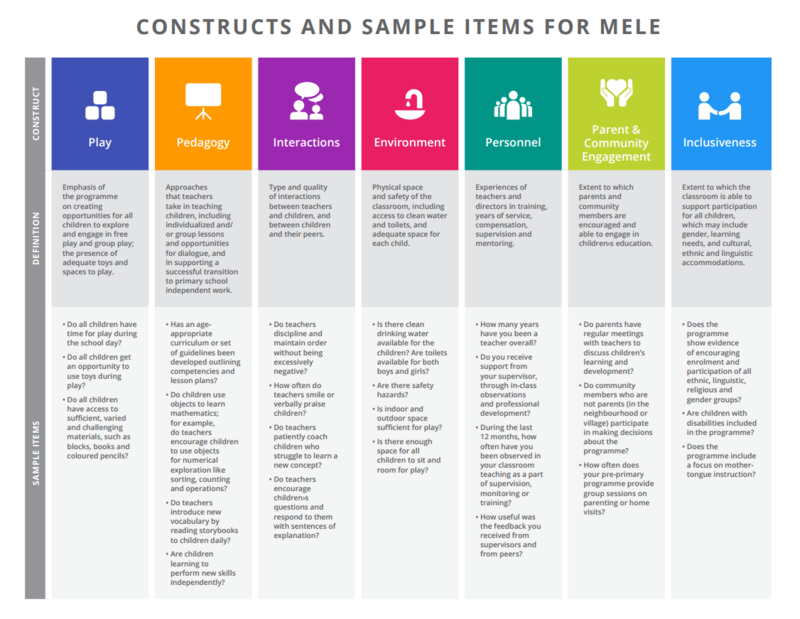 MELE, or the Measuring Early Learning Environments module, outlined constructs and examples of items that could be adapted in countries. What type of modules does MELQO have? 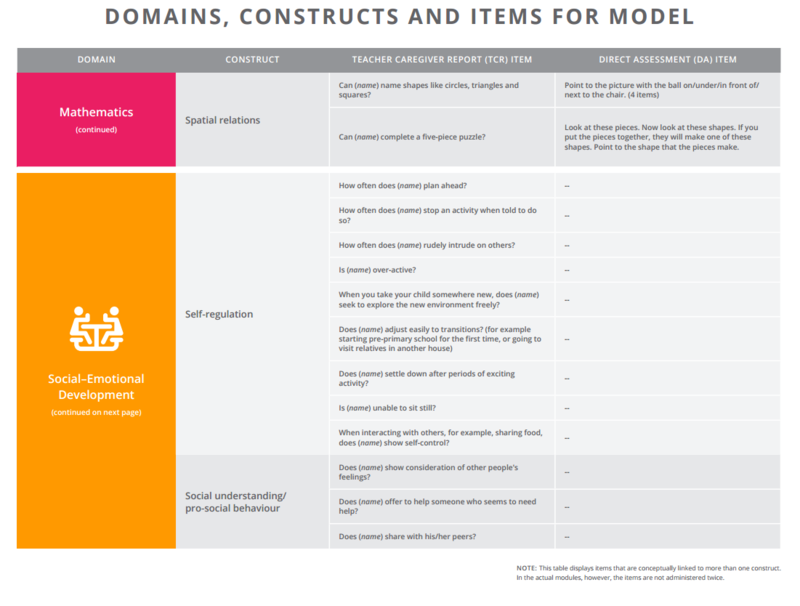 To best meet the needs of countries and to feasibly gather comprehensive information on children’s development, we developed a series of modules that serve as the starting point for country adaptation. You can access these modules in the MELQO Portal after registering. How are the modules used? 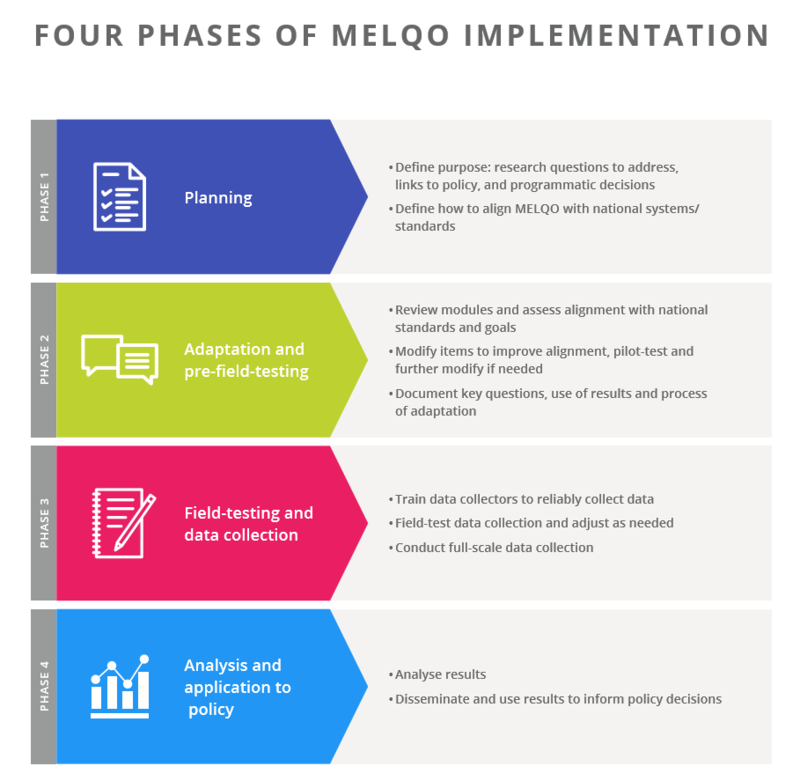 MELQO implementation includes four overall phases. For more information, please visit the Implementation Toolkit in the MELQO Portal. Where has MELQO been used? MELQO has been implemented in several countries. Check out our interactive map to learn more.